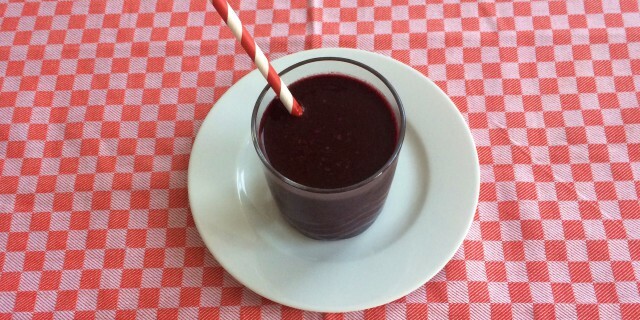 This Açaí Berry Smoothie gives you instant and long-lasting energy. Drink it in the early morning to start your day energised or anytime you need a boost of energy. It’s great on a stressful day, when you are feeling exhausted or need more focus. Açaí berries are the high-energy fruits from a particular palm tree, which grow in the Amazon rainforest. Açaí berries are incredibly rich in vitamin C and anthocyanin, a powerful antioxidant, which help fight free-radical damage and can help boost immunity. Guarana is another berry that grows in the Northern parts of Brazil. It boosts energy and stamina and stimulates your central nervous system. It can help fight fatigue, combat stress, improve memory and alertness and even enhance your mood. Although guarana is very high in caffeine (much higher than coffee), the caffeine is released more slowly into the body providing sustained energy. I can sometimes get really jittery and anxious from drinking coffee but guarana does not have these negative side-effects on me. It gives me a slow and steady release of energy that invigorates and relaxes me. If you are looking for a way to energise your body without the drop in energy, the jittery feelings and irritability that sometimes comes with drinking coffee, this might be a great choice for you too! As Açaí berries are not readily available here, I’ve used blueberries to substitute the palm tree berries. I added a few teaspoons of Açaí Berry Powder and guarana powder to get that real taste of a proper Brazilian Açaí Bowl (Açaí na tigela). Local blueberries do a great job in this smoothie. Even though they are not as rich in vitamin C as Açaí berries, they are real super foods, as they contain a wide range of antioxidants including anthocyanin. These antioxidants prevent free radical damage, help our muscles heal faster and support cardiovascular health. Add all ingredients to a high-speed blender. Pulse until you have a smooth consistency and serve your Açaí Berry Smoothie right away!